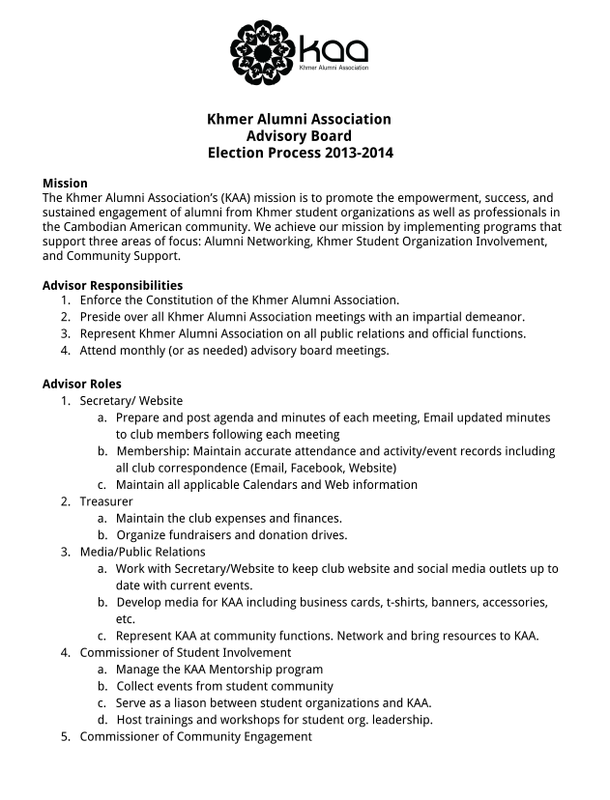 It’s been a good start to the Khmer Alumni Association and we could not have done it without you! Join us for our Elections! Description: Can you believe it’s already been a year? Come join us for our Elections! 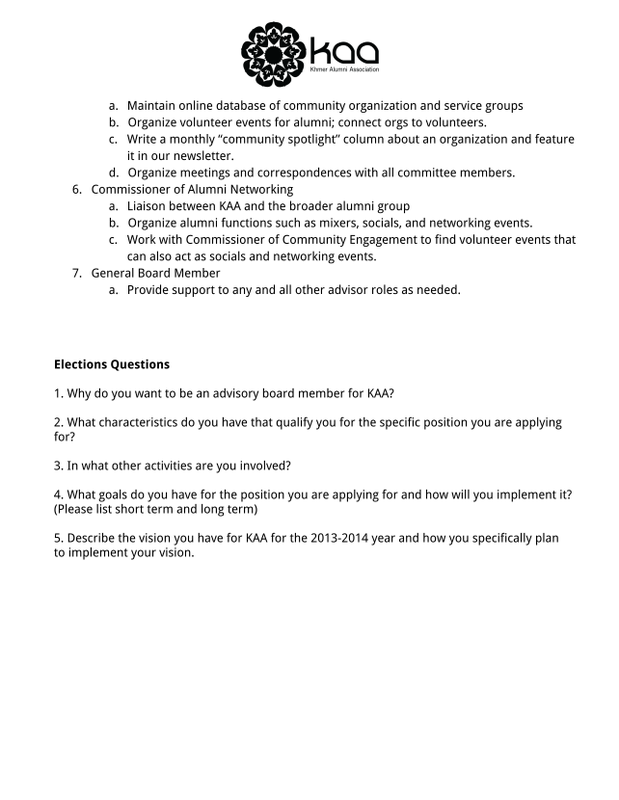 Click Election Process or see below for more information.